You think it will never happen to you, but there are over 300,000 house fires in the United States every year. It makes sense to be prepared. The most important thing you can do is to have working smoke detectors on every level of your home. An early warning is your best defense against a house fire. Taking the right steps in the event of a house fire could save your home and even your life. Make sure that all adults and older children understand how to RACE and PASS if there is a fire. This doesn’t mean RACE around the house in a panic and PASS your spouse on your way out the door! 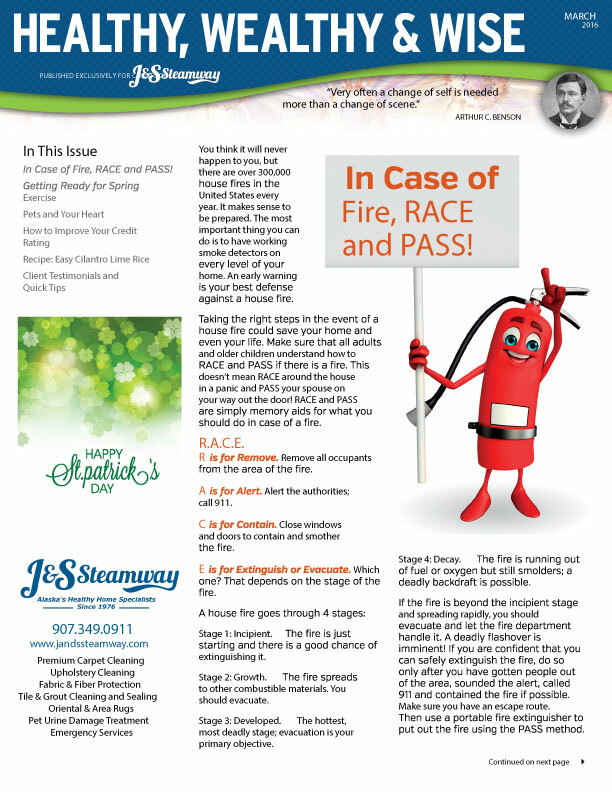 RACE and PASS are simply memory aids for what you should do in case of a fire. 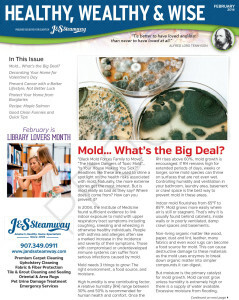 February Newsletter | Mold, What’s the Big Deal? Mold… What’s the Big Deal? “Black Mold Forces Family to Move”… “The Hidden Dangers of Toxic Mold”…“Is Your House Making You Sick?” Headlines like these are used to shine a spotlight on the health risks associated with mold. Naturally, the more extreme stories get the most interest. But is mold really as bad as they say? Where does it come from? How can you prevent it? Or view our interactive flipbook version! It all started with leaving the water running. Soon your entire kitchen is flooded. Even if cleaned up right away, you may still have water damage. 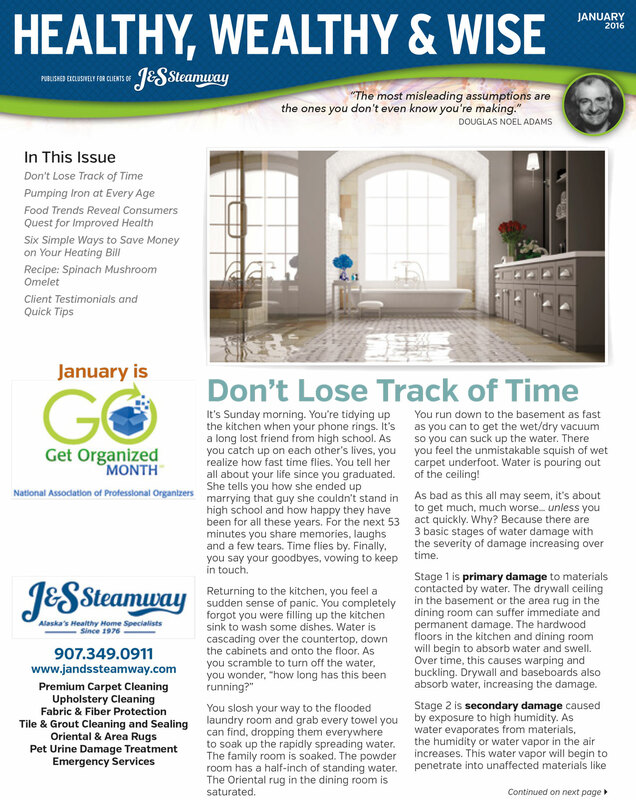 Find out what the stages of water damage are and how to fix it!